M2000 cable feed systems are manufactured from quality raw materials, and feature a more rigid aluminum beam and larger hydraulic cylinder over other competitive models. Feeds are available in lengths from 915 mm (3 ft).- 5525 mm (18 ft) drill steel lengths. Feeds can be mounted on any types of equipment from small and large jumbos, tunnel boring machines, track and rubber tired carriers, etc. Any drifter (top hammers) makes and models can be mounted on feeds giving our customers flexibility. Being a customer solution driven company, we have developed the MC3000. It is a new generation chain feed system which have reduced the amount of parts, thus lowering the maintenance costs. All components have been engineered to be take the abuse that drilling environments demand. 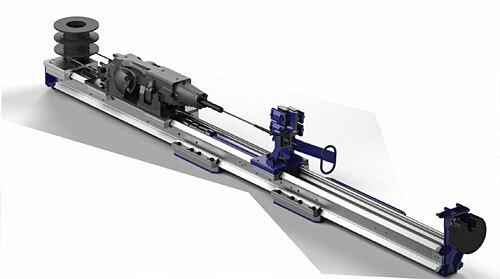 The MC3000 can be operated with either a hydraulic, air top hammer drifter or DTH hammers, in the case where down-the-hole hammers are utilized, a top gear drive box can be mounted. Feeds can be installed onto small and large jumbos, tunnel boring machines, track and rubber tired carriers, heli-portable skids, etc. The MT2000 telescopic feed system is the solution for conned spaces where multi-tasking is needed. They are used in situations where holes need to be drilled in limited space available, for example bolt holes in low roof height. 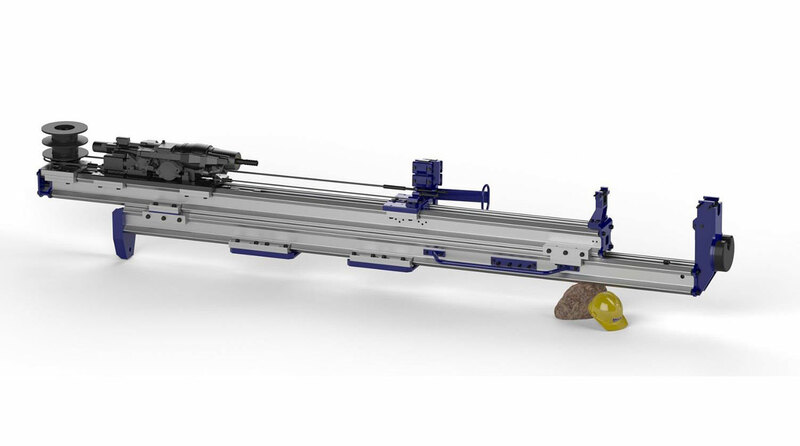 The MT2000 telescopic drilling feeds can be installed onto small and large jumbos, tunnel boring machines, track and rubber tired carriers, etc. 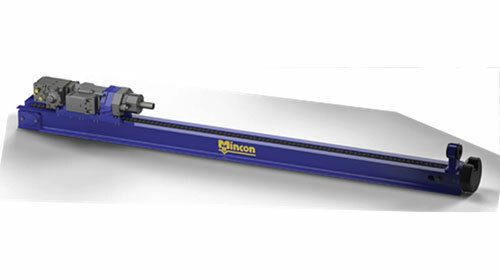 Custom, made to order feeds can be manufactured to the customer’s wants and needs The MT2000 telescopic feed is also manufactured from quality raw materials, and features a more rigid aluminum beam and larger hydraulic cylinders over other competitive models. The MT2000 is the perfect solution for any kind of drilling work.